Simplicity itself: A hull, an outboard, and a place to hold on. That’s what center consoles are all about. The Cigarette 42-foot Huntress is an innovative boat with a companionway to port of the helm console, leading to the cabin below. 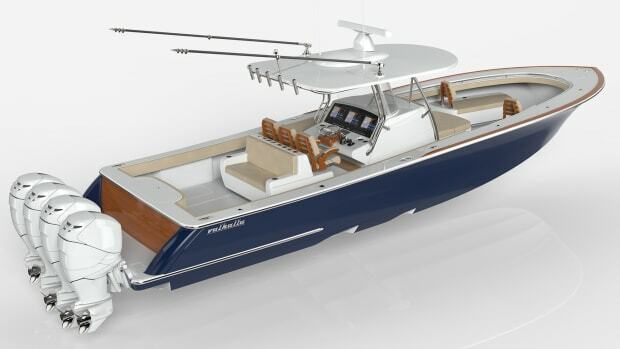 Of course, few will notice the deck configuration with quintuple (that’s five) 350-horsepower Mercury Racing Verados providing the propulsion to a twin-step deep-V hull. 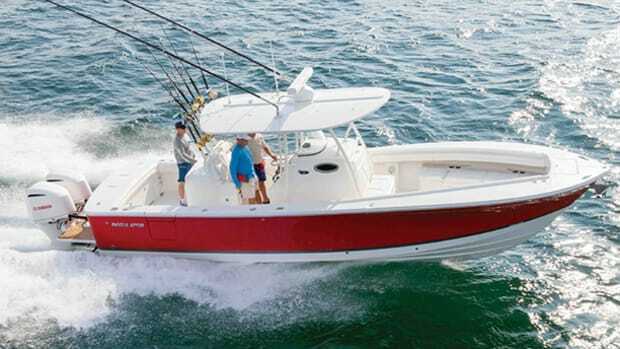 Intrepid brings its 245 center console, and why not? After all, it’s got many of the features from the larger boats, including a head compartment in the console, a hidden windlass, and dedicated rod lockers. 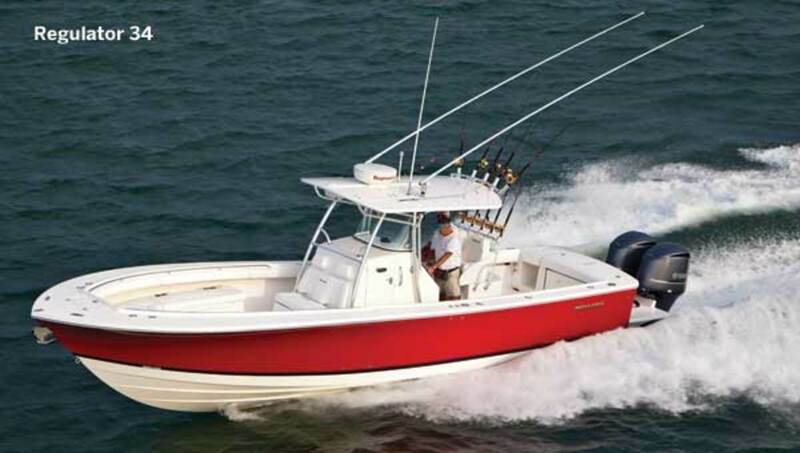 Looking for a beefy center console with the chops to get offshore and stay there? Jupiter 38 has a hull by Donald Blount and Associates naval architects that can be powered by twin or triple outboards. 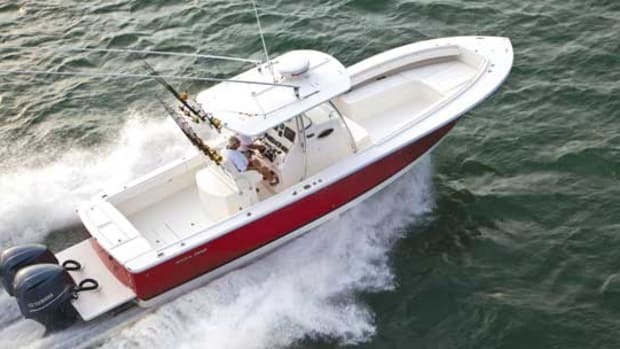 With a speedy, lightweight hull, the Contender 30 ST is sure to get the fish all strung out. 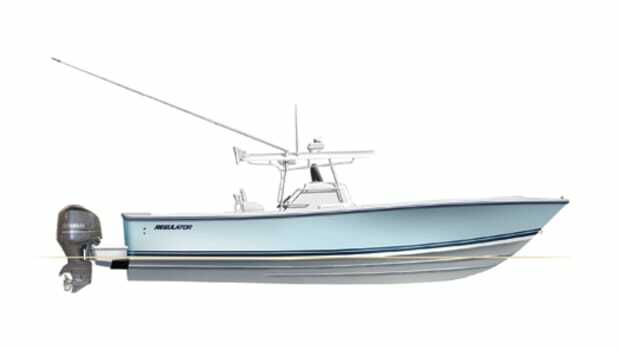 Midnight Express has expanded its range down to the 34-foot class, with a trio of deck designs suited to any boating type. Built on the 34-foot hull are open fish and sport models, as well as the Pied-a-Mer, which offers a cuddy cabin for overnight stays. Bonadeo Boatworks calls its 368 a walkaround, since a cabin trunk extends into the foredeck providing greater accommodations space belowdecks. But chances are onlookers will be too enraptured by the sheerline to care. 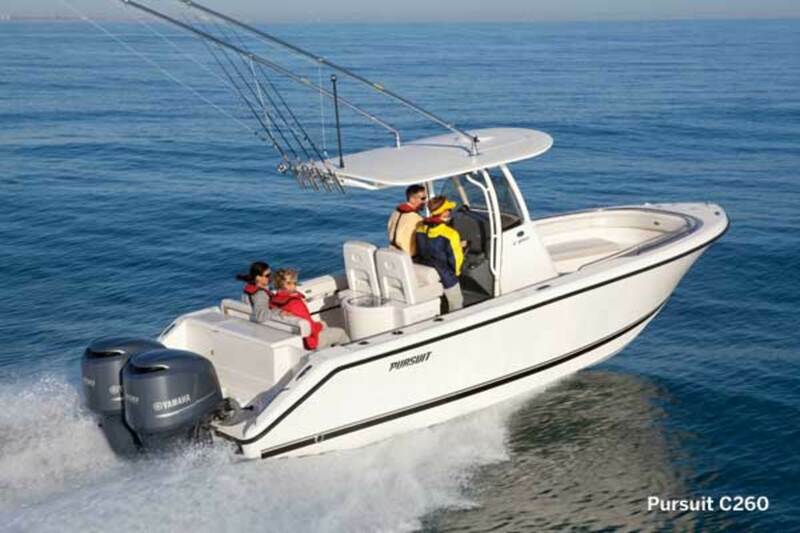 The Pursuit C260 takes much of what boat owners look for and makes it standard equipment, removing the prospect of spiraling costs due to options and add-ons. The result? 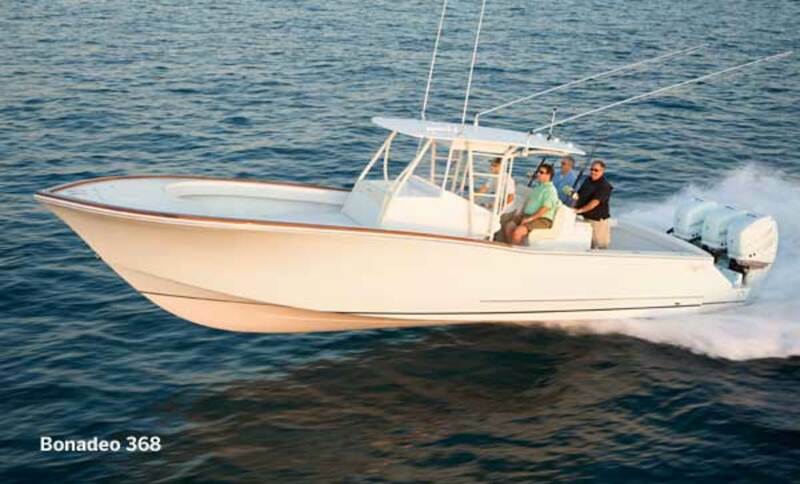 A well-equipped boat with fit and finish and style enough to please anyone. 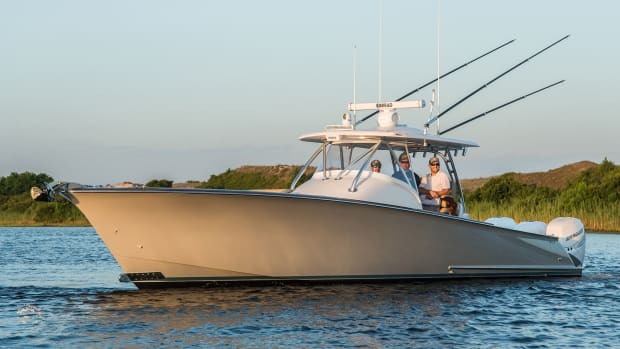 The Regulator 34 center console takes a proven hull—the company has long used the design on the starboard seater model—and gives it back to the fishermen who need 360-degree access. 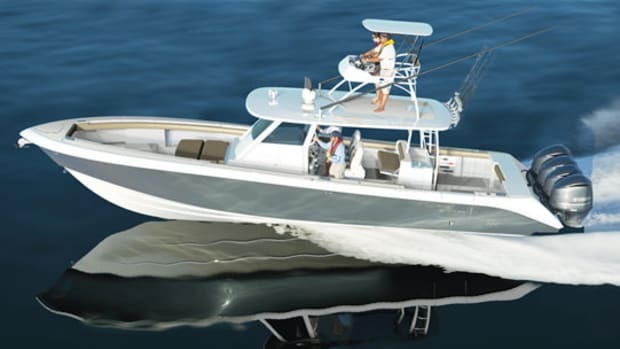 The Sea Vee 390 series has a range of engine configurations, from twin, triple, or quad outboards, to IPS and inboard setups. Whatever the installation, it’s a safe bet that the hull will devour the chop and be ready to go when the bite is on. Sessa’s 34 Key Largo is a walkaround with twin outboard power and many of the amenities of a much larger yacht, including accommodations that sleep four guests, an aft dinette for alfresco dining, and an outdoor galley with two-burner cooktop. 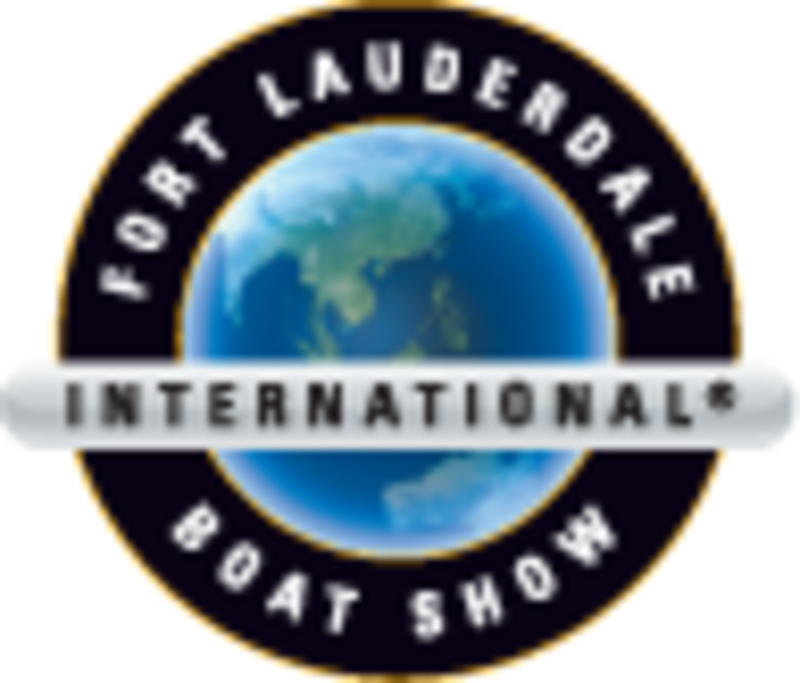 Feel like the pure experience is the most important part of being on the water? The guys who build the Yellowfin 36 would agree. 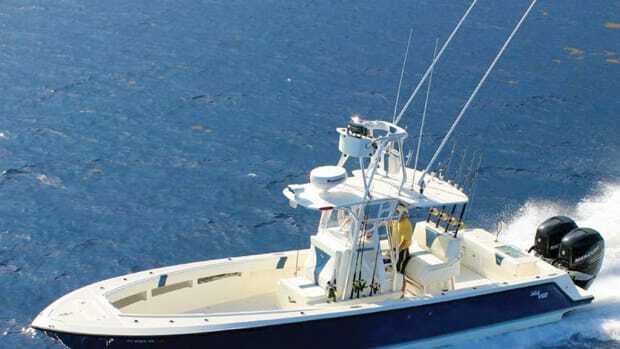 This is a no-frills fishing center console. What it lacks in shower facilities and entertainment center it makes up for in performance with a twin-step hull and a range of twin- and triple-outboard installations. 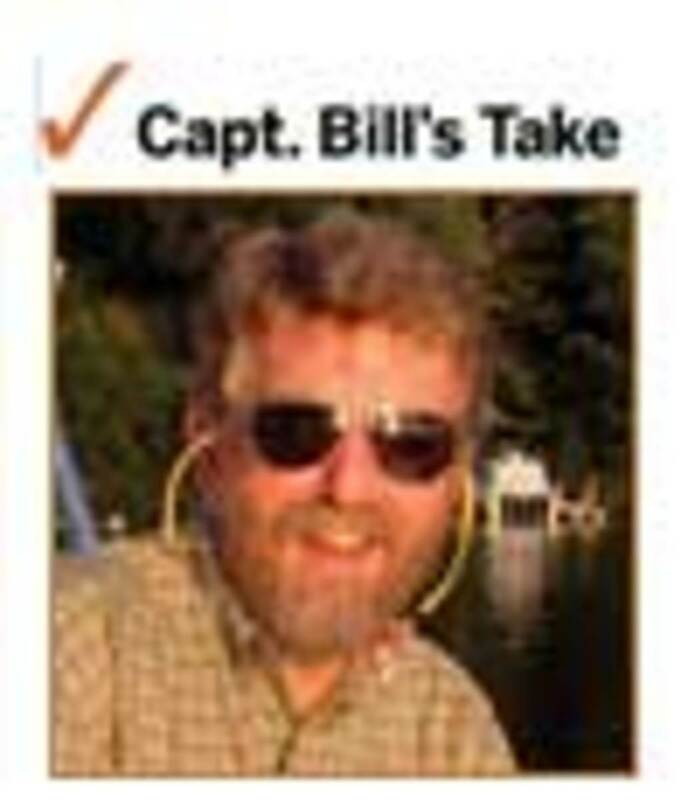 There are those who believe outrageous multi-outboard setups just serve boat-show purposes. We disagree. 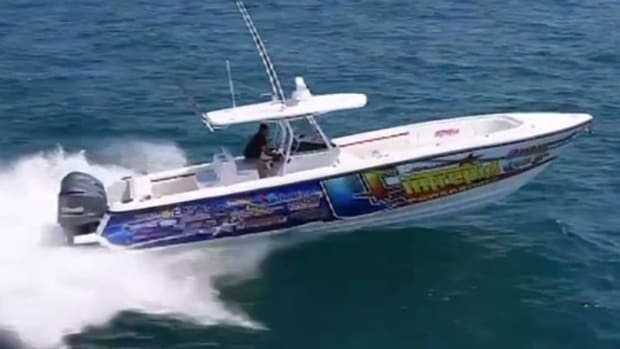 While it is an impressive attention-getter at the boat show, the Deep Impact 36OC has a top speed that flirts with 60 knots—that’s more than just buzz on the docks.